So what did I find?!? 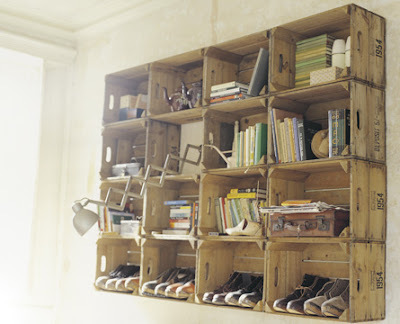 Wood Crates! I guess it shouldn't be a surprise if you have read through my blog before, I am obsessed with using wood crates for storage, I can't believe I didn't think of this before! 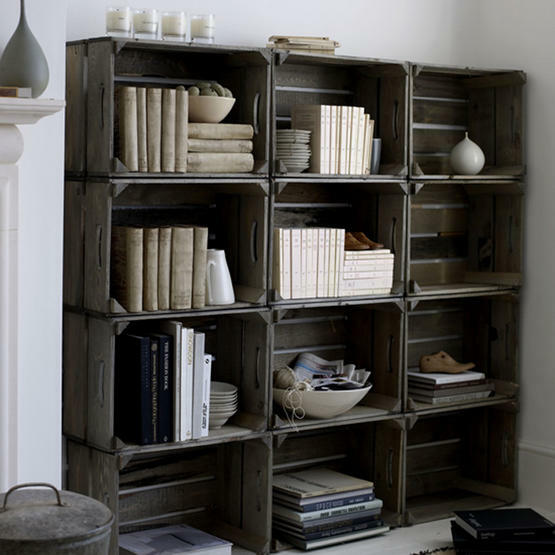 I found these two images on Design Squish, I'd say they sparked my inspiration to use wooden crates for shelving. 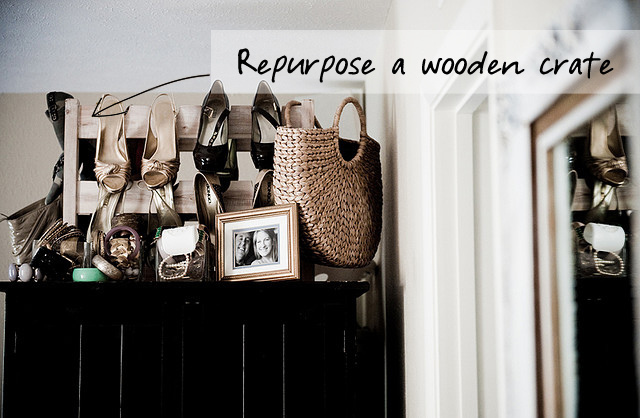 I also like this idea from Arianna Bell, just a different way to display and arrange shoes using crates. I showed Alex all of my inspiration photos and the new plan I had drawn up. He loved the new direction we had for the dressing room! The big problem though, where were we going to find 6 vintage crates similar in size? I did a lot of searching on Craigslist, Ebay, and Etsy. I found some dealers that had lots of vintage apple crates, but they would have to be shipped. Shipping 6 larger size crates was going to cost more than the actual crates! Luckily, I ended up finding some nice crates on Joanne.com for only $9.99 each and free shipping! They are a good size too measuring 18"L x 12"W x 9.5"H.
Yes, they aren't vintage (wa-wa), but that doesn't mean we can't do a little DIY magic on them to give them a vintage look (wink)! I just ordered them today, so we should have them by next Wednesday, wish it were sooner. I have 2 options for how I want them arranged, so once we get them I will have to play around with the actual placement. I really hope this one is a winner and we don't go back into failure mode, keep your fingers crossed for us! What a great idea. 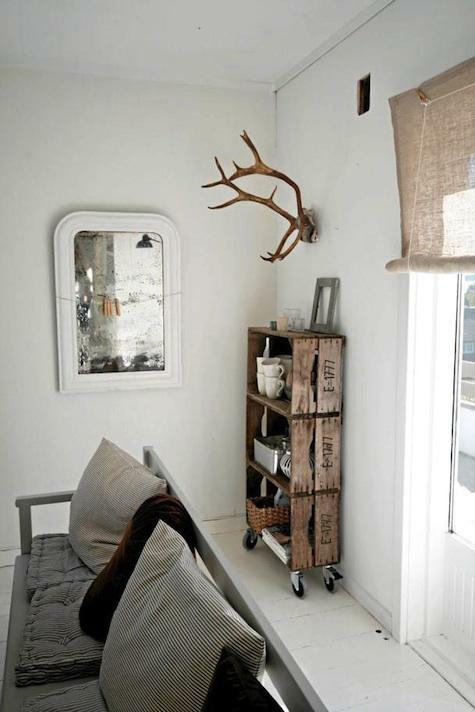 The crates are so useful and stylish too. So much better than a basket, much more character. And of course, even better than a shelf. Can't wait to see. That is a fantastic buy for those crates! What a wonderful idea! I've been meaning to comment for some time - I just want to tell you guys how much I love your blog! I love all of your projects and your incredibly inspiring and motivating for me to work on my own home. Like you, my husband and I live in Minneapolis, we got married last summer (about a year after you) and shortly before that bought a 1924 Sears Craftsman. Though I'm sure you hear this all the time, I just wanted to encourage you to keep blogging and sharing your journey! ps. 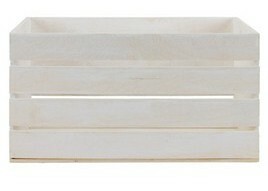 Can't wait to see what you do with the crates - I'm thinking of doing something like that too after this post! 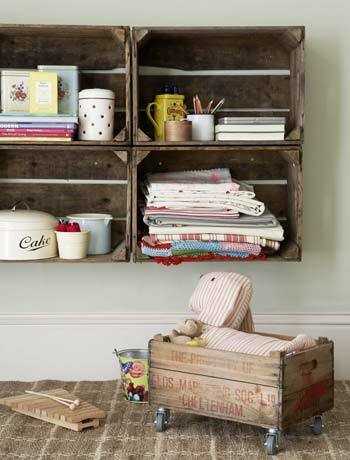 These are fab photos of crates. I love the way they look so vintagey and gorgeous. I'm so glad you found this look - it suits you to a tee. Have a lovely weekend, sweetie. Such a great post! I love the idea of adding casters to the bottom of an old crate. I have one that might work. Thanks for sharing the Joanns lead. Might check into those too. I am definitely following. I need to see how it all turns out. Love crates. I am still looking for some crates like these in the uk, a few of the big department stores in my city now have them as part of their window displays but yet I cannot find them anywhere! :( I need at least 8 to make my storage, I tried local wine warehouses but they dont and wont save them, so insist you just go in every so often in the hope that they have the odd one. Someone is trying to grind me down! Great' So now the next time I will see some crates.. it could be transformed into something very useful! nice! Just found your blog from a link on Pinterest! What a great site....such fun ideas in decorating. Love this crate idea and can't wait to find a place to start pounding a hammer! Found you through Pinterest and loved this idea! Your blog is full of fun ideas and I can't wait to get some crates and a hammer and figure out where I'm gonna start pounding nails! Thanks!